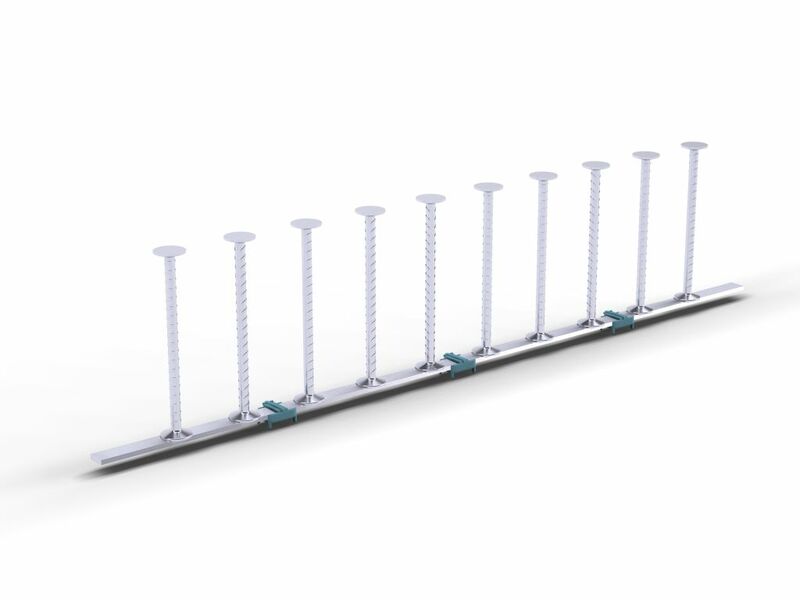 ARMATA® Punching Reinforcement is the first ICC approved double-headed shear rail system made from deformed reinforced bars. 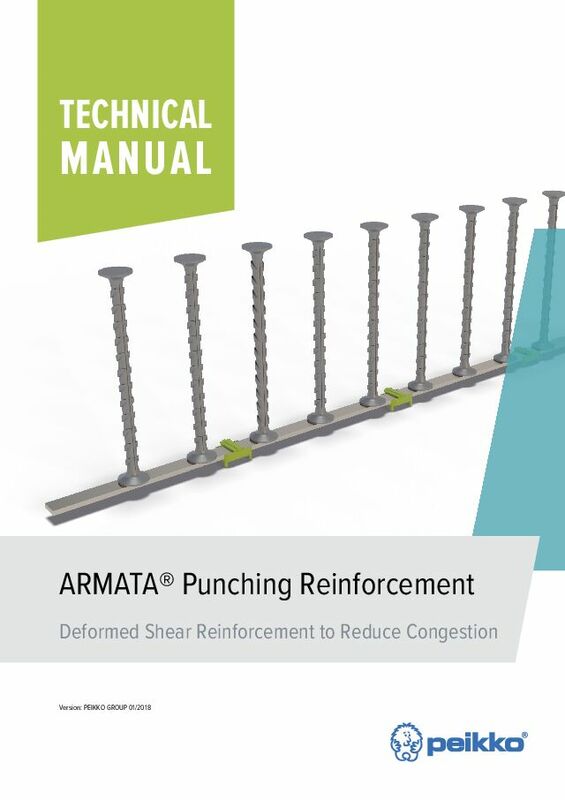 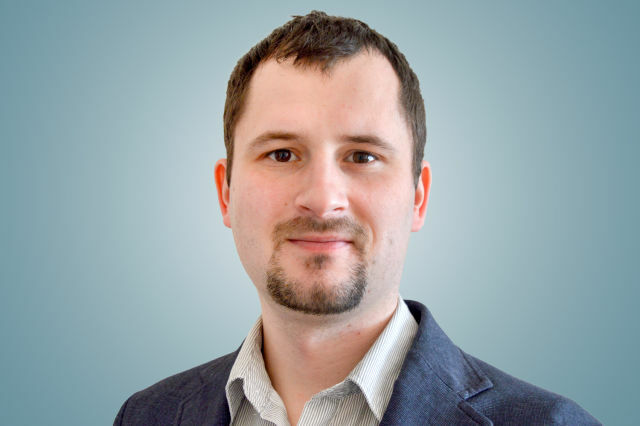 With better material properties than studs from smooth bars, ARMATA® provides more efficient design against punching shear failure in flat slabs. 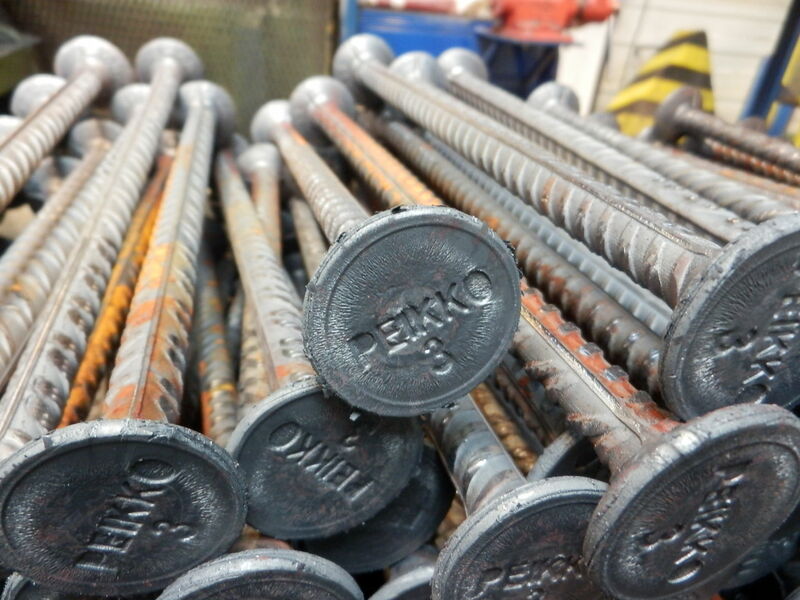 Peikko’s ARMATA® is primarily used to increase the punching shear resistance of cast-in-situ concrete slabs without increasing the slab’s thickness. 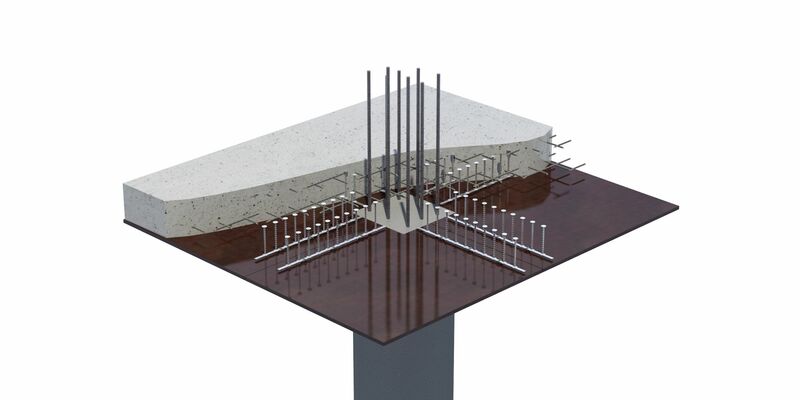 ARMATA® can be used in slab-on-grade foundations and in elevated slabs, such as reinforced concrete slabs or post-tensioned slabs, where ARMATA® can eliminate the need for drop panels or column capitals, thus reducing forming and concreting costs. 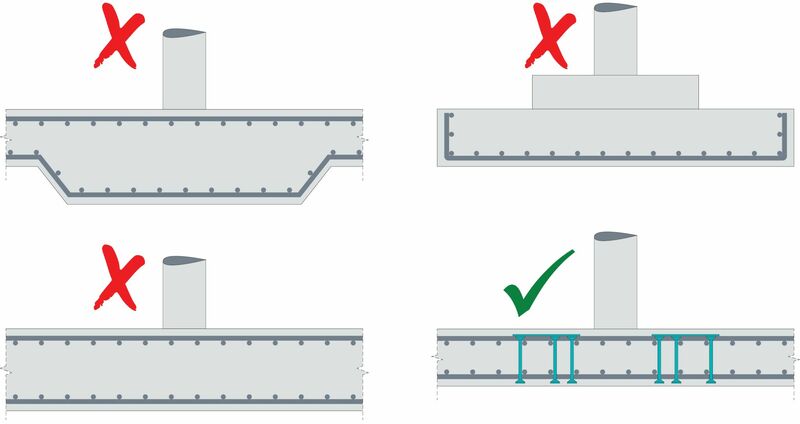 Moreover, a thinner slab leads to a lower floor-to-floor height and, therefore, to a lower building height or possibly an extra floor. 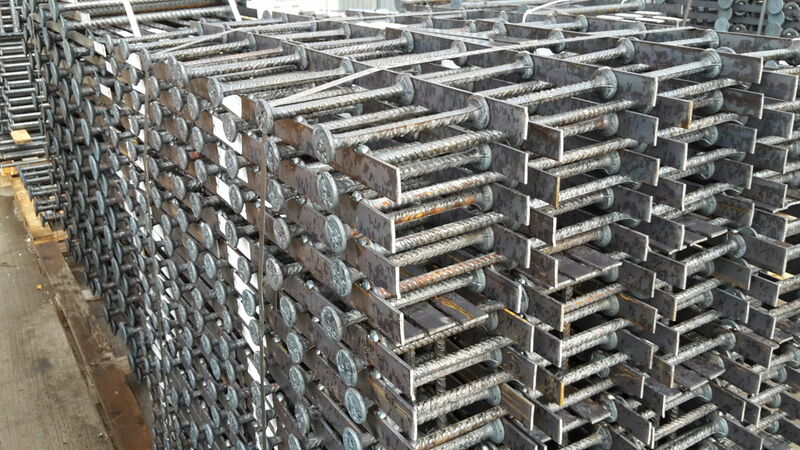 In addition, the excellent bonding conditions and mechanical properties of the deformed bars allow for an optimized slab design by reducing the total amount of punching reinforcement when compared to slabs reinforced by stirrups or smooth studs. 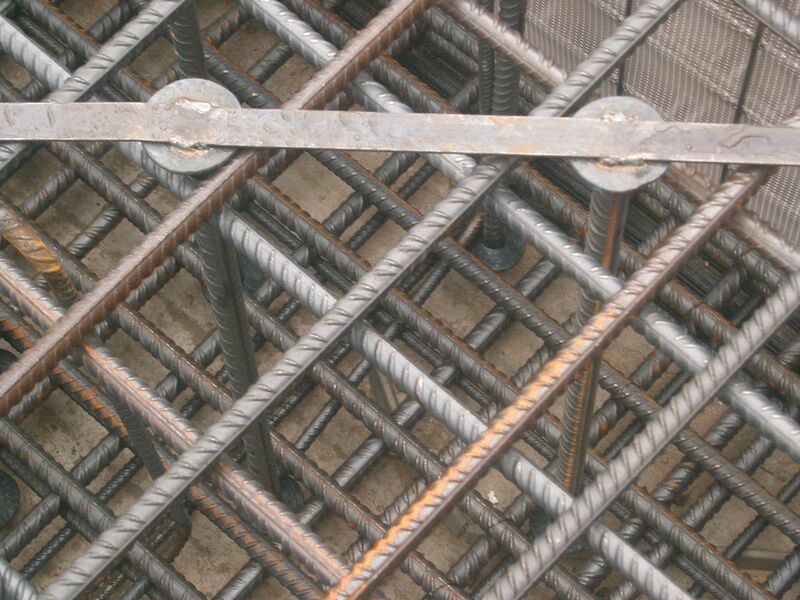 ARMATA® studs are produced from deformed reinforcement bars with yield strengths of 60,000 psi and the studs are welded to steel shape in accordance with ASTM A1044 – 16a. 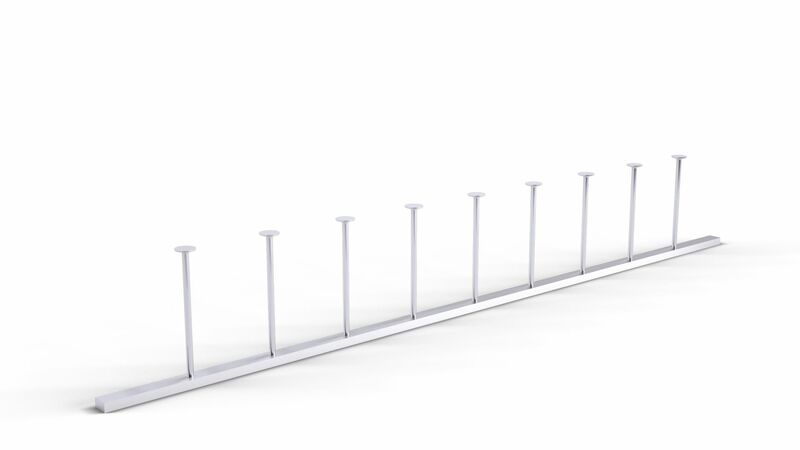 ARMATA® rails are dimensioned according to ACI 318-11, CSA A23.3-04 and ASTM A1044 – 16a. 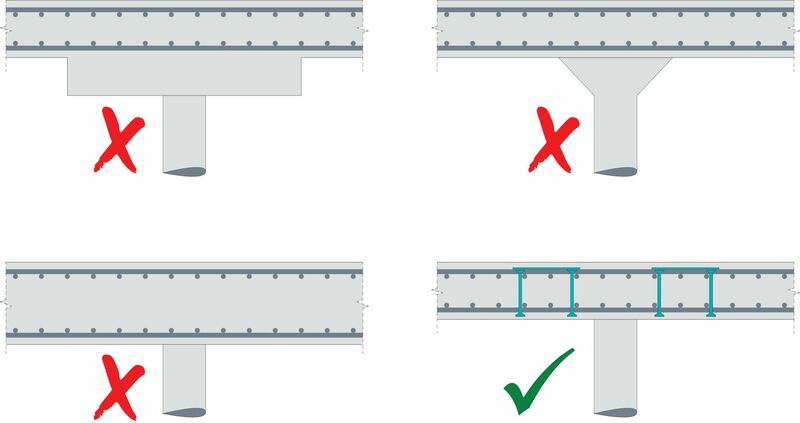 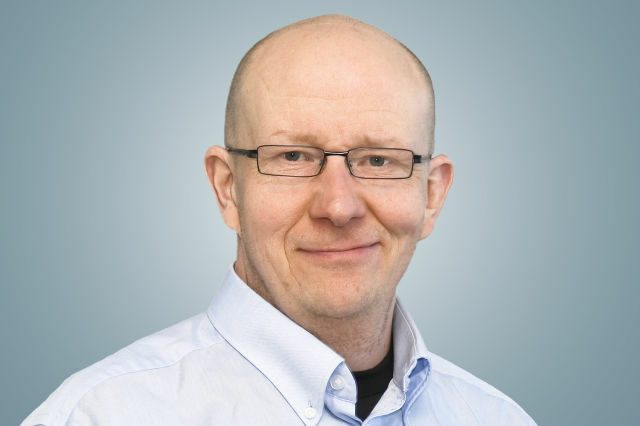 For dimensioning of ARMATA rails, we recommend our user-friendly dimensioning software Peikko Designer®, downloadable from Peikko’s Design Tool page.